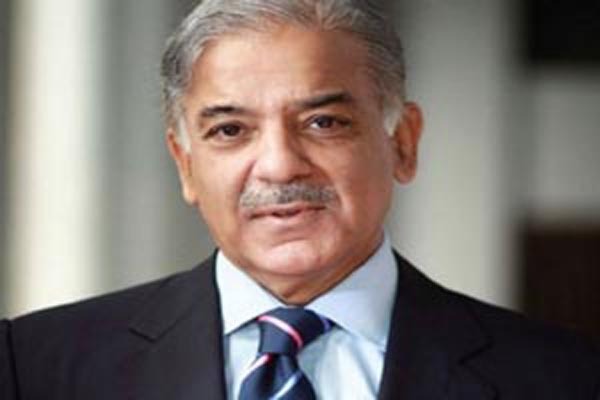 LAHORE, Aug 4 (APP): Punjab Chief Minister Muhammad Shehbaz Sharif visited 1320 megawatt coal power plant in Sahiwal on Thursday and reviewed progress on the project. Chinese engineers and experts gave a briefing to the chief minister regarding progress on the project. Fanrog, Chinese Counsel General Yu Borne, members of Chinese delegation and senior officers of Chinese companies working on Sahiwal Coal Power Plant were also present. Speaking at the briefing session and talking to media, the chief minister said 60 percent work of Sahiwal Coal Power Project had been completed within a year and it would start generating electricity in the middle of next year. He said work on the project was started in July last year. This was a unique and biggest project of its kind in Pakistan. He said such projects had been completed within four to five years in the world, including China. Sahiwal Coal Power Project would be completed within 23 months, setting new record of completion in the entire world, he added. Shehbaz Sharif said this project was of the poor people of Pakistan and it was the project of every worker, labourer, officer, judge, general, police, teachers, doctors and of all. The Chief Minister said he wanted to tell that investment of 36 billion dollars was being made for the projects of electricity in Pakistan under the CPEC. Out of this, 11 billion dollars were being spent on energy projects in Sindh while 6.5 billion dollars on energy projects in Punjab, he added. Similarly, he said work was continuing on projects of billions of dollars in KPK and Baluchistan as well. He said the Sahiwal Coal Power Plant was bigger than Neelam Jhelum Hydro Project. 900-megawatt electricity will be generated through Neelam Jhelum Hydro Project while Sahiwal Coal Power Project will produce 1320 megawatt electricity. He said national resources were looted ruthlessly in the past and Neelam Jhelum Project was the worst example of corruption. The Chief Minister said if development process was stopped through sit-ins and protests then God forbid, this will be a tragedy for Pakistan like 1971. Therefore, the hand of those creating hurdles in the journey of progress of people should be stopped. He said it will be a national crime to create hurdles through protests and sit-ins in energy projects being set up speedily. He appealed to the leaders of political parties to mend their ways. He said problems were not resolved through protests and negative politics. He said soon darkness would be removed from the country following completion of energy projects. “Abundant power supply will be available for industry, agriculture, education and other sectors in the country soon,” he added.